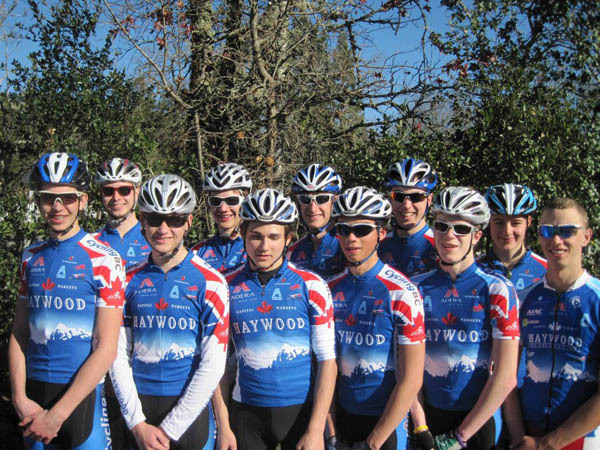 The Cycling BC Junior Road and Track team wrapped up their twelve-day warm weather camp in beautiful Santa Rosa, California on this past weekend. 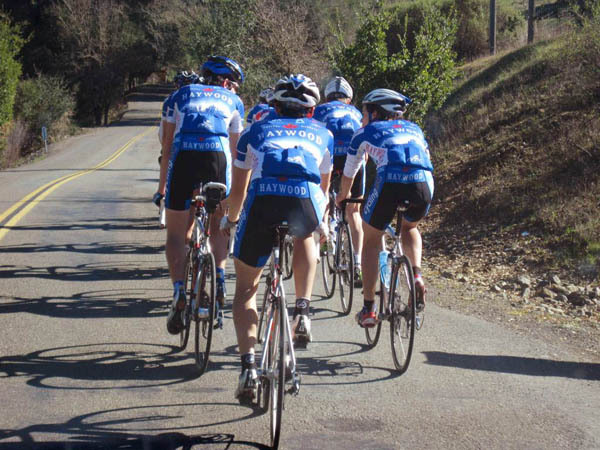 Nine riders were treated to uninterrupted sun and world-class riding through the beautiful wine region of Sonoma and Napa County. A combination of longer endurance rides and skill sessions were included in the camp, including team time trial efforts, sprinting and leadouts, and bike handling drills. The "epic" endurance rides included plenty of climbing, secluded one-lane roads, and jaw-dropping scenery of vineyards and the Pacific Ocean. One rider commented that the four hour King Ridge loop was "hands-down the best ride I have ever been on." The camp was not just about riding though, as each rider learned valuable lessons about how to live away from home. Cooking teams were put together, with a different three-person team making a healthy and nutritious meal for the whole group every night. The crowd favourite proved to be a delicious fajitas meal prepared by Nigel, Trevor, and Jacob. Each individual also learned how to get along as a team, with everyone living under the same roof. Recovery was also a major theme of the camp, with riders learning and refining post ride nutrition, and making good use of the cold pool in the backyard for some hydrotherapy. We would like to take this opportunity to thank all of the people and sponsors who made this camp possible.